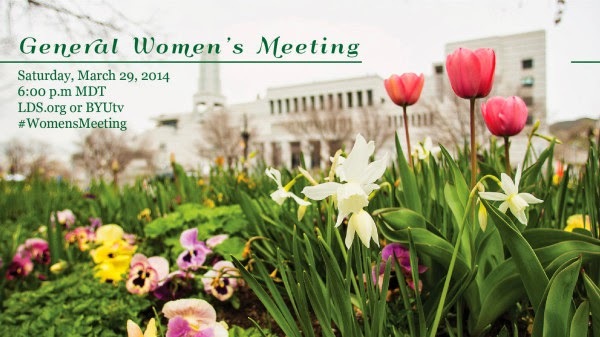 Mormon Moms: General Women's Meeting - Plan to Attend! General Women's Meeting - Plan to Attend! This is a monumental occasion. We hope that ALL of you will plan to attend or to watch on tv or online!!! We're VERY blessed to be able to gather together to learn how to strengthen our homes and families through the Gospel of Jesus Christ.